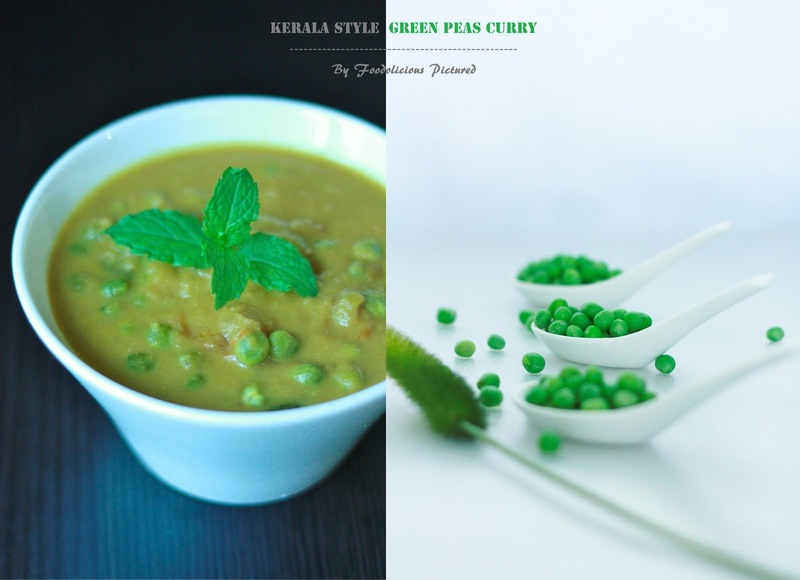 I have been looking for the Kerala peas curry recipe. Tried a few but was not convinced. Yes I am talking of the curry that we get in the restaurants in Kerala. I chanced on this recipe and glad my hunt ended. God, how I love this. I have used frozen peas here. But if you have the dried peas then more better. Soak them overnight and pressure cook with enough water till done. Heat oil in pan, add the onion and cook till soft. Add the ginger garlic and green chilies Cook till the raw smell is gone. Make a paste of all the powders with enough water. Add this to the onion mixture and cook for 2-3 minutes. Turn off the heat and allow to cool. Into a blender and make a fine paste with just enough water. Heat the same pan, and add the onion-masala paste. Add the tomato, 1 tablespoon water and cook till soft. 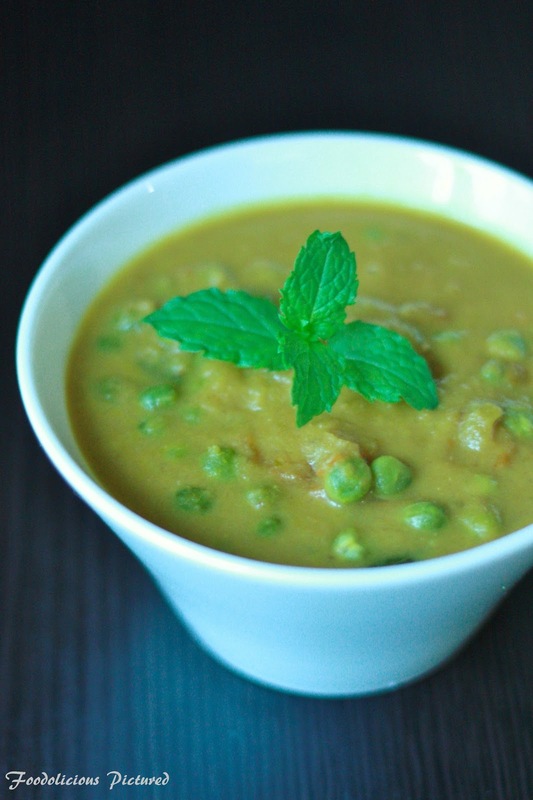 Tip in the peas, curry leaves, ½ cup water, ¼ cup coconut milk. Cover and cook till the peas is done. Uncover, add the remaining coconut milk and bring to a gentle simmer. Turn of the heat and serve hot with rice. 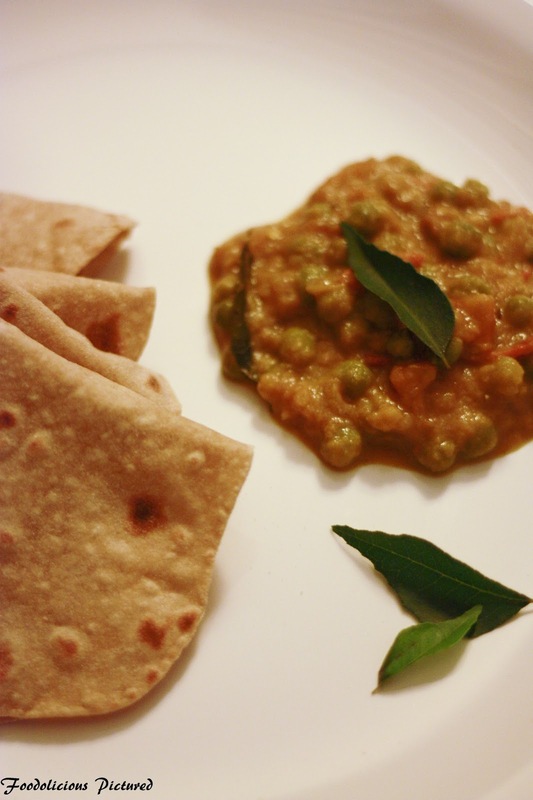 Flat bread or appam. I too use the frozen peas. I actually prefer these because they can be kept for some time in the fridge and the balance can be used for another recipe. 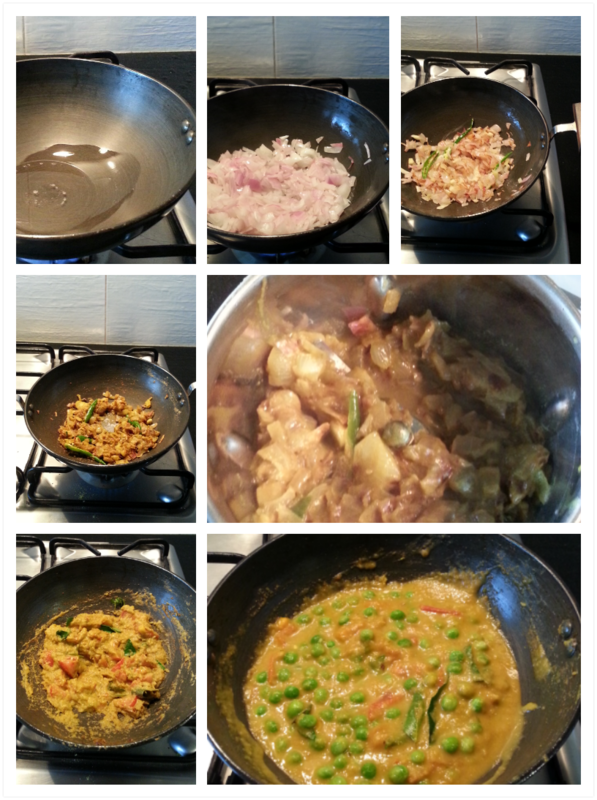 Very inviting curry, awesome ingredients for the right burst of flavors. We eat rice mostly, therefore I will pair rice with it. 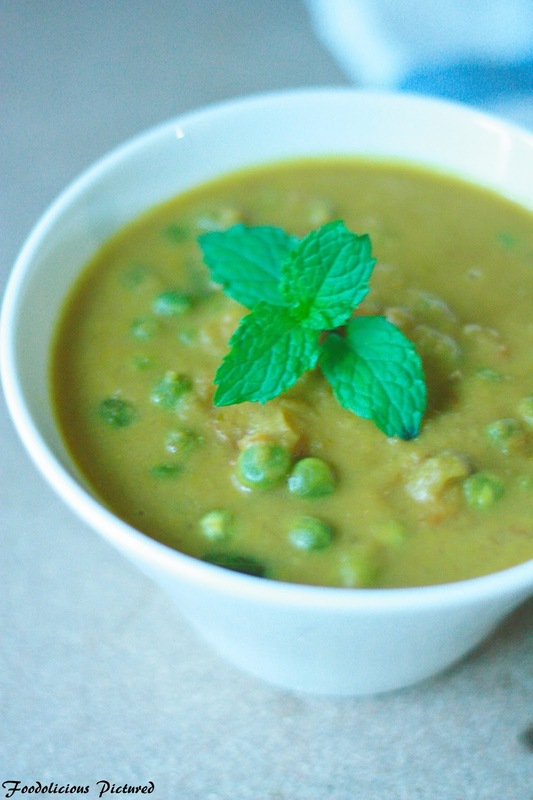 oh God u r right, I too love that peas curry which we get in resturants,porattayum peas curry um yumm yumm..I liked ur cute pathram :)I havent seen dried peas here, i think dried ones give that authentic taste ,miss it badly. Mouthwatering gravy…lovely shots! Thanks for stopping over mine. Sorry I was away from blogging due to some personal commitments. Will be back soon.